L.W. 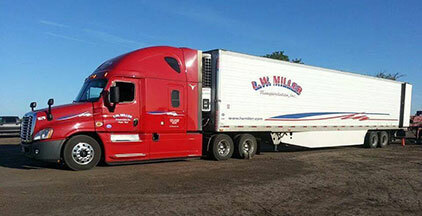 Miller will reliably transport your products with incredible speed, safety, and professionalism. Get better pay, home time, and respect when you drive for L.W. Miller. Join our team today! With L.W. 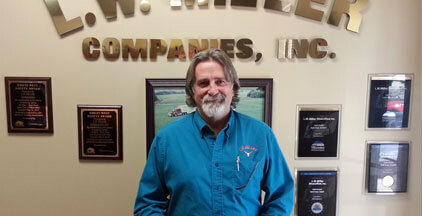 Miller you’ll get quality tractor and trailer repair services in Utah. We have repair centers in North Salt Lake, Logan, and Tremonton, Utah. L.W. Miller is one of the best trucking companies in Utah. Headquartered in Logan, Utah, L.W. Miller provides excellent service, superior safety, and distinct punctuality to customers needing quality trucking and semi-truck repair services. With our experienced team, we’re available to serve all your hauling needs with superior service and competitive rates. L.W. Miller is a Utah trucking company that provides dry bulk, liquid, refrigerated, petroleum, and livestock trucking services across the nation. Learn more about our trucking services and get in touch with us today for a freight quote. Keep your trucks moving with our certified tractor and trailer repair services. 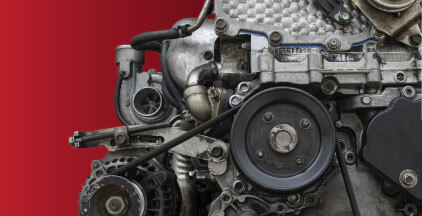 Whether you need a major overhaul or routine maintenance and repair, we have full-service diesel maintenance facilities in North Salt Lake, Logan, and Tremonton, Utah. Looking for a great truck driving job? We’re looking for over the road drivers, owner operators, and diesel mechanics to to join our team at L.W. Miller. You’ll get great pay, hours, benefits, and more. Learn more about our driving and mechanic jobs and apply today!